"In the short term, Saudi Arabia is unlikely to back off until the threat posed by the Houthis to Yemen’s stability—to say nothing of Iranian meddling—is rebutted." An update from Aaron Edwards, senior lecturer in defence and international affairs at the Royal Military Academy Sandhurst and the author of "Mad Mitch’s Tribal Law: Aden and the End of Empire". In Operation Decisive Storm, its military offensive in Yemen, Saudi Arabia and a coalition of several Arab states and the US aimed ostensibly to remove threats to the security of the kingdom and neighbouring countries. In a four-week air campaign, the coalition’s military objective was to halt the advance of Houthi militias and prevent their effective seizure of control of the country from its legitimate government. On 21 April the Saudi Ministry of Defence said the campaign had achieved its objectives, paving the way for a new, ‘political’ phase, Operation Renewal of Hope, in which protection of civilians and the continuing frustration of the Houthi movement within the country would take priority. 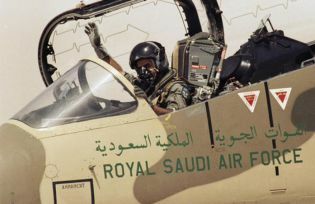 But the Saudis refused to exclude ‘a military component’ from the operation: Brigadier-General Ahmed al-Asiri told the media that the end of Operation Decisive Storm did not necessarily mean the end of air strikes or that the naval blockade would be lifted. Saudi Arabia and the US have agreed a five-day ceasefire to allow humanitarian aid to reach those most affected by the conflict—the civilians caught in the crossfire. The US secretary of state, John Kerry, has suggested that this stay “would be welcome news for the world if it were able to be effected in a way that doesn’t see people try and take advantage of it and either secure more territory or attack people participating in a legitimate pause”. Yet, by its very nature, there does not seem to be any end in sight to the fighting. In the short term, Saudi Arabia is unlikely to back off until the threat posed by the Houthis to Yemen’s stability—to say nothing of Iranian meddling—is rebutted. Strategically, of course, the Saudis have employed force in Yemen as a last resort. By intervening they have committed themselves to a more coercive policy of ensuring the various factions are compelled to return to the negotiation table, rather than induced or enticed by the promise of further concessions. For now the only deal which appears to be on that table is the National Dialogue Conference (NDC) agreement, reached in January 2014 and sponsored by the Gulf Co-operation Council (GCC). Since the death of King Abdullah and the succession of Salman, Saudi foreign policy has been much more muscular in opposition to those non-state actors judged to be inimical to its national interests. For many years the Saudis remained quiescent on Yemen and relied on the diplomatic instrument—the multilateral GCC—to support political transition. But the ink was barely dry on the NDC agreement when the Houthis marched on the capital Sana’a, in a bid to wrest control of the state from the president, Abd Rabbuh Mansur Hadi. Although the UN has called for a resolution of the conflict, there is little to suggest any of the reconcilable factions (Houthis included) will enter into the spirit of dialogue anticipated by the Security Council. The Houthis walked away from the process long before it was completed and have demonstrated little in the way of mature political thinking since the conclusion of the NDC deal. So what does this mean for Yemen’s security? Politically, it means the continuation of instability. There is every possibility that President Hadi will return with Saudi backing, although the ambitions of his predecessor, Ali Abdullah Saleh, in that regard may not be so easily dealt with by the coalition’s military power. In Security Council resolution 2216 (14 April 2015), the UN noted with concern how Saleh was “engaged in acts that threaten the peace, security and stability of Yemen”. In particular, the UN said his alliance with the Houthis not only undermined Hadi’s reform agenda but, ultimately, Yemen’s peaceful transition towards democracy. Militarily, as the pre-eminent theorist of war Carl von Clausewitz informed us, war may have its own grammar but the logic underpinning it is always political. In Yemen, as in Syria, Iraq and Libya, this is much in evidence. Nevertheless, there is also the complicating factor of tribalism. There is every likelihood that, by entering into armed competition, the military forces—reflecting as they do pre-Islamic tribal boundaries and more recent religious divisions—have driven a wedge among the Yemeni people. To be sure, there is also the wider conflict between north and south—and the prospect of a renewed partition—which jeopardises resolution of the conflict over the long term. Division of Yemen into two separate states once more would arguably represent an even greater danger to stability than the proxy war between Saudi Arabia and Iran or the wanton barbarism of al-Qaeda in the Arabian Peninsula, Ansar al-Sharia or, for that matter, of Islamic State in Iraq and the al-Sham offshoot in Yemen. Although the emphasis remains (rightly) on political reconciliation of the various factions in Yemen, the direct involvement of Riyadh and Tehran in the conflict means that the influence of external regional actors is likely to have a heavy impact on the course and consequence of the fighting. There is every possibility that the war may continue until either the parties consider their goals to have been decisively met or each side has lost enough to stop the violence. One unfortunate effect of armed conflict, wherever it has reared its ugly head, is that civilians will continue to comprise a disproportionate number of the casualties until there is a significant move towards a semblance of peace. Aaron Edwards is a senior lecturer in defence and international affairs at the Royal Military Academy Sandhurst and the author of Mad Mitch’s Tribal Law: Aden and the End of Empire (Mainstream/Transworld, 2014). Opinions expressed are his own.